Also scheduled to pitch for the Cincinnati Reds today: Raisel Iglesias, Matt Wisler, and Wandy Peralta. The game will be live on Reds.com for audio. The game will not be available on the radio. 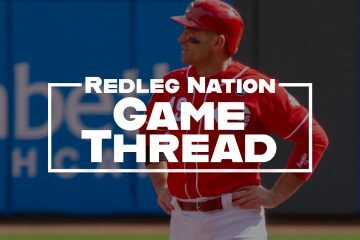 This Week’s Reds Question: Surprising Breakthrough? Winker in center field. This oughtta be interesting. I’m assuming Winker is just getting AB’s, but I’m wondering why him in CF and not Puig since the latter is far more likely to get possible playing time there. Wondered about that yesterday as well. If anyone hears any explanation from David Bell, etc., as to why Winker started in center, please share it. It seems a rather odd move to make if Bell isn’t going to use the option in game situations. It also makes you wonder why Puig didn’t get the start in center with Winker in right. Puig has not played an inning in center during the spring that I am aware of. If true, that would lead me to believe he isn’t going to do it during the season. I wonder if Schebler’s inability to catch fly balls in the high Arizona sky yesterday had any impact on this move. Schebler looked helpless against the high sun yesterday and everything seemed to be hit straight up into the sun. He isn’t the first OF that’s had that problem with the high sky and sun in Arizona. I wouldn’t personally wouldn’t give it any credence that he can’t play CF. Oh, I certainly agree. Playing OF in the Arizona sun is a challenge, when DB pulled Schebler from the game yesterday it had the feel of a mercy decision. I didn’t see the game yesterday. But, your probably right. The last thing DB wants to do is have Schlebler suddenly lose confidence that he can play the position after he has been named the starter. Schebler is not a starting centerfielder. Leonys Martin had no problem tracking balls to the track on Saturday. Schebler blew two, Winker one on Saturday; Siri one on Friday. I listened to 1 minute of the pregame. They want to leave Puig in Right. He has gotten comfortable there. 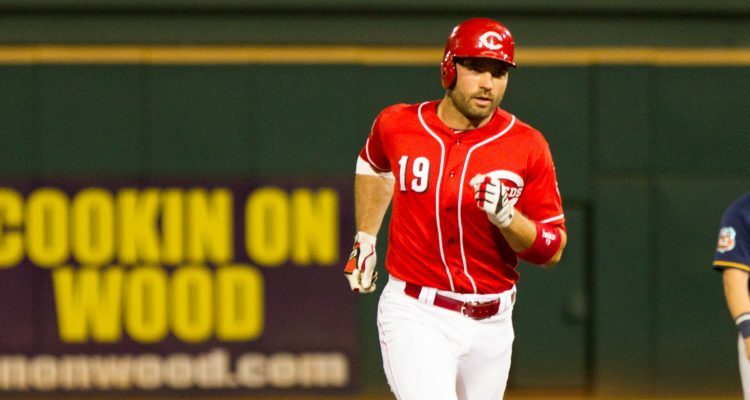 They will be giving Winker starts in CF the next few games to use him there as a potential backup to Schebler. That actually makes some sense, If and that’s a BIG IF Winker can play some CF that gets Kemp into certain games or later in a game in LF. Very interesting. So their centerfielders appear to be Schebler and Winker. We may be seeing A LOT of Lorenzen as a late-game defensive replacement — maybe daily? Good point on Lorenzen – Could definitely be. One common theme we keep seeing from this New Regime of Coaches is they want players to have flexibility to play multiple positions. If a player is a legitimate centerfielder he will not lose confidence because he misplays some balls that where in the sun. Maybe DB wanted to save Schebler’s retinas? I was standing on the RF concourse when I saw Winker played CF for an inning or two on Saturday against Indians. I thought that was extremely odd. Now I see it was not an anomaly. Certainly not pitching against the ‘A’ team, but extends to 5.0 IP and the 7-SO looks good. He had 6-SO thru 3.0 IP. No walks and 11 strikeouts in 10 “A” game innings for the spring. Iglesias has not looked good this spring at all … yes I know it’s spring but I am starting to get a little concerned at this point. Just gettin’ ready to type the same thing. He does not look ready to begin the season after today’s game w/ 2-SB and a balk in his pitching line. I’d really be surprised if Iglesias (the pitcher) is not ready when the bell rings (no pun intended). Pitchers like Iglesias thrive on adrenaline and as much as you force yourself to say OK this is important. The Body knows it is not important, and it just won’t react. But, we’ll see in a few days. No need for us to sweat it at this point. They’re not hitting and the pen looks shaky. I can’t say I have extreme faith in any of those guys? Can we fast forward to Thursday and end this mess? This spring training is killing my buzz. I know what your talking about. It’s certainly been interesting and they have gotten my hopes up for an entertaining season since a little before Christmas. So I’m chomping at the bit. And of course when I look at the Cactus League Standings and keep seeing the Reds at the very bottom that’s definitely a “buzz killer” as you say. They’re coming around the final bend and it’s a 3 horse race for the final bullpen spots. Peralta puts up another inning of blanks today. There’s only 2 more games in Atlanta before the decisions HAVE to be made. Do you want to go out on a limb a make a guess about those 2 spots ? Not to put you on the spot. I’ll take that bait. I’m not endorsing, just predicting but I suspect it will be Peralta and Stephenson. Reed has already been assigned to AAA, and Peralta has not allowed a run in AZ. I’m hoping that’s because they’ve made some adjustments to his mechanics and/or approach so the results are “real”. In any case another lefty who didn’t give up a spring run may be irresistible. As for BobSteve, with no options he either goes to Cincy, to the IL or leaves the Reds organization altogether. In spite of his delayed spring development I predict Cincinnati for Stephenson. So if that plays out what do you think happens to Wisler ? Sorry, had to take a break for dinner. I think the final decision comes down to Peralta or Wisler. Stephenson is a lock for the 25-man roster. I think DW & NK are actively working the phones to try and find a viable trade for Wisler. I they can’t, it will be a tough decision between Wisler and Peralta. I’m with CFD in hoping that Peralta’s results are real this spring, but I’m not sold yet. I think Stephenson gets extended in the bullpen and takes another shot at the starting rotation when an opportunity opens (assuming he succeeds in the bullpen). Based on his results as a reliever and starter this season, Stephenson settles into a specific role going forward. TBD if I’m not mistaken Wisler is also out of options, so the same three possibilities that apply to BobSteve also apply to Wisler. I’m with the Cossack – I think it’s likely that Wisler will be traded and soon. But it’s certainly possible that they’ll ship Peralta to Louisville and promote Stephenson and Wisler, perhaps with the idea of building trade value for at least one of them. But again my prediction is Peralta and Stephenson to the Reds bullpen, Wisler traded or possibly released. Good talking with you guys. You guys make great points. We’ll see what happens in a few days. FWIW, Brantley said a few innings ago that he didn’t think the idea of using Rasiel Iglesias earlier in the game than the ninth inning would last for long. He said with Iglesias’ history of struggling in multiple-inning appearances, he predicted that Iglesias would end up back in the traditional ninth-inning role. Reds should just DFA Bob Steve and move on.He has had at least 30 starts or so in the last 3 years and has shown nothing. Take a look at Nolan Ryan on baseball reference. From 1966 – 1971 he made 74 starts. In 1969 he was 6-3 with mid 3.50 eras + other than that not very impressive. Goes to Angles in 1972 and goes 19 – 16 with 2.28 era. I agree because I have always been a big supporter and was just messing with those who always take the opposite point of view when I say he has never been given a chance along with Reed and Garrett and Lorenzen to start.I am on record as saying it takes at least 50 starts or so to even form an opinion on most guys.Bob.Reed and Garrett don’t even have 50 starts combined.Bob will get one of the two spots left in the pen because the Reds are afraid somebody will actually give him a chance.We will need em all because Roark and Wood are just here for 1 year regardless of how well they pitch. It allowed me do a little research on “The Ryan Express” and just see how long it took him to finally get it. Hopefully you got a chance to look at that NYTimes archive article I posted below as it shows you were totally on point about being patient. In regards to the Trade of Ryan to the Angles. The Mets finally gave up on Nolan Ryan’s wandering fastball today. They traded the 24-year-old pitcher and three prospects to the California Angels for Jim Fregosi, six times the American League’s all-star shortstop. Harry Dalton, who left the Baltimore Orioles in October to become general manager of the California team, praised Fregosi for his 11 seasons with the Angels but said: “We picked up one of baseball’s best arms in Ryan. We know of his control problems, but he had the best arm in the National League and, at 24, he is just coming into his own. So your saying Harry Dalton was involved in both trades. Both considered one of the worst trades in the history of their respective franchises. On one he’s a genius and the other he’s a bum. 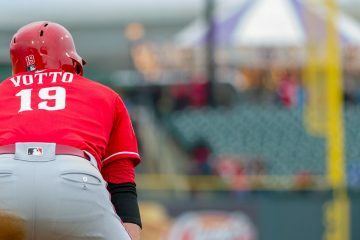 The Reds,at least now won’t give up on their young arms and shouldn’t.They just went through 2017 and 2018 and really found out only about Castillo and Romano while the other were given a cup of coffee.Reed and Romano,who had options,have been sent down and hopefully will start at Louisville.Using them as relievers is a mistake because major league relievers can be found anywhere and everywhere and are year after year.Romano and Reed and Mahle just need another pitch they can throw for a strike to become solid starters.Rarely do young guys come up and take off but the Reds have Gray and Wood who did just that their first year.Since then both have digressed some but the arm and the talent is still there as it is with the guys I mentioned. Both Reed and Romano were told they are now being viewed as relievers, so it seems likely they will pitch in relief rather than start at Louisville. I’d be surprised if they didn’t start in Louisville. They need more innings under their belt. If the need arises and the Reds need either a Reliever or a Starter they could select a Starter from Louisville. But, a Reliever in Louisville will only be able to relieve in Cincinnati. You probably have a better recollection regarding that situation, but my recollection of that situation was based on the major league roster for 2019. Reed and Romano were being targeted for the MLB bullpen as a reliever in 2019 rather than the starting rotation. I never understood the fascination for Rpmano as a starter. Romano came up as a starter thru the minor league system, but was routinely hitable and lacked a put-away pitch. The BC/WJ era envisioned Romano as a large-frame power pitcher capable of dominating hitters, despite the results to the contrary. I hope Reed is targeted for the starting rotation in AAA this season with a default role as a reliever only if he fails to deliver as a starter.